Though not strictly a botanical category, the distinct water world of aquatics marks out a useful plant grouping. Several - not entirely exclusive - zones exist within this world. A small number of plants are free-floating on the water's surface; with roots that feed but provide no anchorage. Deep water plants put their roots down into soil that's more than about 30-40cm below the surface of the water. 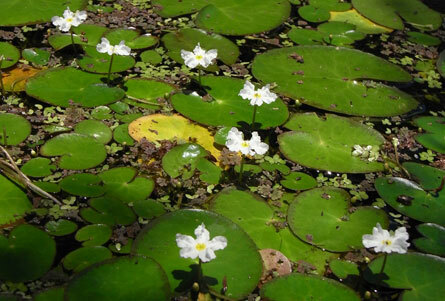 Shallow water plants grow where the water is about 20-40cm deep. In both these groups, some put up stems and leaves that remain entirely submerged - especially useful for aquariums and to provide oxygen and fish habitat. Other plants reach and float on the water's surface or emerge above it altogether. Some can adapt to be either submerged or emergent as the water level changes. In larger pools, coverage of half to 3/4 of the surface by free-floating, deep and shallow water plants provides a balance between keeping algae growth in check without over-shadowing submerged plants. 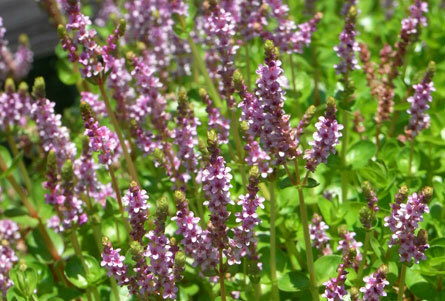 Marginal plants grow around the perimeter of ponds or in shallower bowls and containers to about 20cm deep. 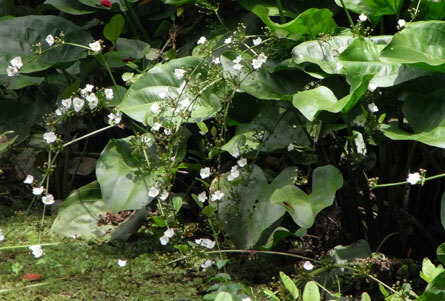 Bog plants are adapted to grow outside the water's edge but where the soil is saturated. Plants in both these zones can blur edges for a more natural, informal water feature effect; camouflage liners, plumbing and filters; stabilise the banks of watercourses from eroding as well as provide habitat or food for birds, amphibians and fish. The zones aren't rigid. Many plants grow across more than one zone and can move into deeper water as they establish. With a reliable source of water and ready means of transport, many aquatic plants are actually too good at colonising new territory. Avoid local and potential weeds. 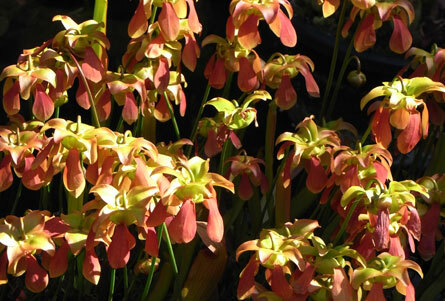 Find an aquatic plant for your water garden with the Plant This Plant Selector.